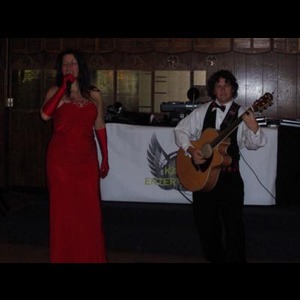 Amy And Rich are a unique ,polished yet approachable acoustic duo with decades of collective experience. 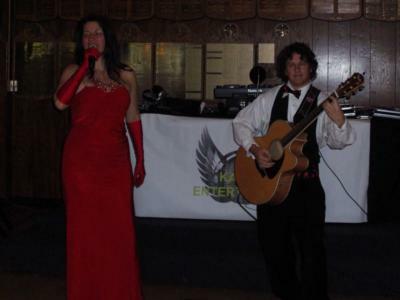 Accompanied by Rich's solid, excellent guitar work, Amy has the range and vocal ability to effortlessly deliver renditions of all those wonderful,"big" songs few singers even attempt, as well as much loved songs from all genres and eras, so there's something to delight and surprise everyone. Not only can she rival the original versions, she has a great time while doing it. Have a listen to their audio samples to hear what makes them stand out from the rest! Amy and Rich are happy to tailor their music to suit your event, as an acoustic duo, or with Amy performing with professional quality backing tracks with a sound tech, or a combination of both. Book them today for "That full band sound, but without that full band price"
* all audio samples were recorded live with minimal effects rather than in a studio,so as to give an accurate representation of what you will hear when you book this act. Please note Amy and Rich Music will also travel to Sugarloaf Shores, Summerland Key, Big Pine Key, Key Colony Beach, Marathon Shores, Marathon.